Cutera CoolGlide Laser Vein Removal Therapy is the most effective treatment for unsightly facial veins. 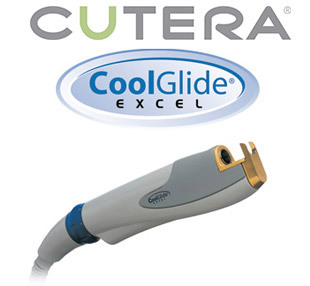 With the most advance technology, the Cutera® CoolGlide Laser can safely and effectively remove tiny veins in the face. The CoolGLide Laser Vein Removal Theraphy lasers deliver pulses of light energy which cause the blood within the vein to coagulate, eventually destroying the vessel which is later reabsorbed by your skin. Blood flow will then be directed to veins deeper below your skin’s surface, where it should be. The pulses of light from the laser will give a stinging sensation and a topical anesthetic will be given before the treatment. The result will be seen within two to six weeks or depending on the size, color or number of veins to be treated.